Hold the boujee: Rapper Quavo thinks President Trump serving national champs Clemson Tigers fast food is just bad. On Tuesday, the Migos member tweeted an offer to throw the team a proper party. "I WANNA SHOW CLEMSON TIGERS AND POTUS HOW CHAMPS ARE SUPPOSED TO BE TREATED," the "Walk It Talk It" artist tweeted. Despite being a Georgia fan, Quavo invited the Clemson team to visit the headquarters for his Quality Control label "ANYTIME." He also gave a shout-out to their coach, Dabo Swinney. 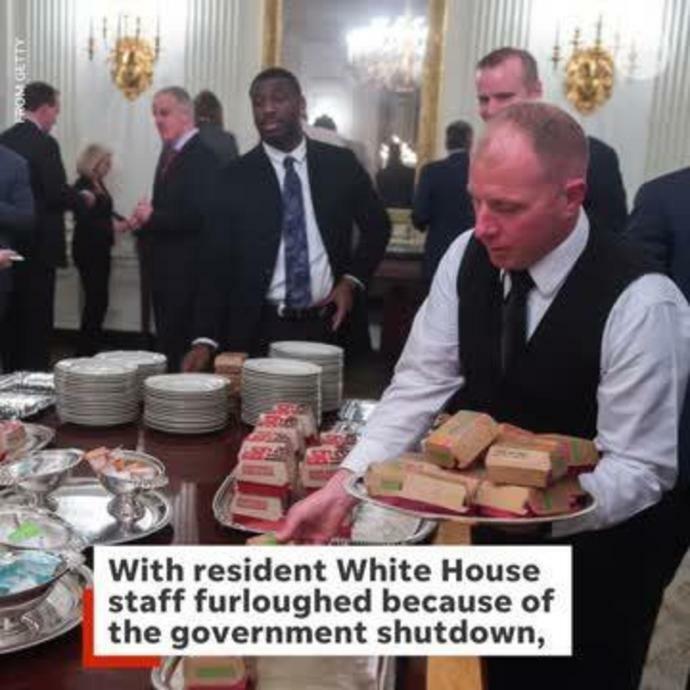 With the White House catering staff furloughed, the commander-in-chief dug into his own pocket to offer his guests a spread from McDonald's, Burger King and Wendy's. "I had a choice," Trump said. "Do we have no food for you? ... Or do we give you some little quick salads that the First Lady will make, along with the Second Lady - they'll make some salads. Trump later claimed that he had been right. On Tuesday morning, the president tweeted that "within one hour" more than 1,000 burgers were "all gone." Quavo is not alone in his criticism of the president. Retired NFL running back and former USC star Reggie Bush called the White House's spread "a huge slap in the face."